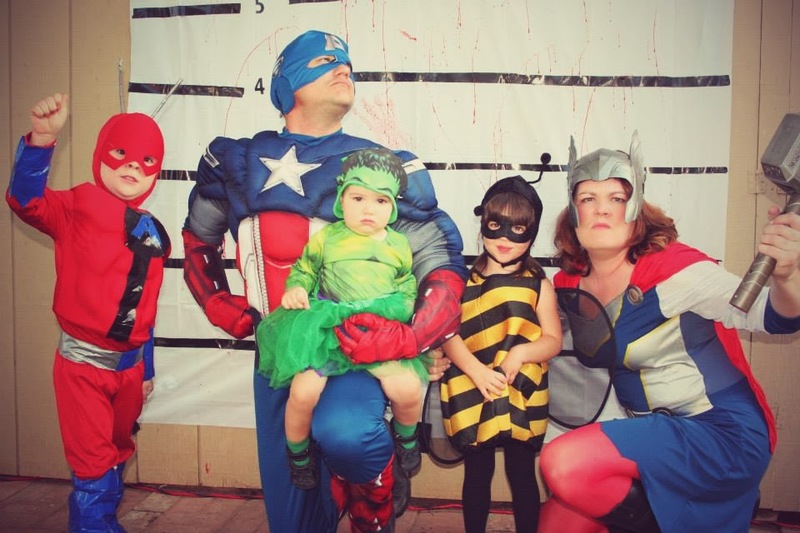 3 Small Humans: Please help me Captain America! I am out of deodorant. Please help me Captain America! I am out of deodorant. In my Christmas stocking this year was a stick of deodorant. I was surprised. I had, until this point, felt like deodorant was a very personal purchase and assumed the world felt the same. Sure I would borrow a swipe in a pinch, but I can’t just use any anti-sweat smell stick. I prefer Fiji rain to baby powder scent and anti-antiperspirant to perspiration. I knew I would never use it. I am a creature of habit. I use the same hair, face, and body products for years. My sister, not someone weighed down by ritual, laughs at my routines for applying face lotion and hair volumizing. She does admit my skin is soft and youthful and my hair is bouncy and full, but is not interested in the 10 years of anecdotal evidence I have for getting it there. She puts all kinds of fabulous care products in our Amazon cart after some stranger on a plane tells her it saved her life. “I used to look like a wet dishrag and this fancy $75 an ounce lotion helped me book Cover girl photo shoots.” I am not buying it. I feel like on some level my routines and rituals are getting the best of me. I explain coin denominations to my exhausted five year old SH1 to hear my sister yell from the other room, “Yelling it louder and louder at him is not helping him get what you are saying!” Change tactics, breath deep, I need a minute, new strategy, recognize his frustration and fatigue, break it down better—these thoughts tumble like a hamster wheel in my head. We are a house of routine. We are outnumbered and have a schedule to keep. See this post by another awesome mom blogger, "So you would like to have three children". My husband feels the same, the routine keeps our heads above water. Kids up by 6:30 am, SH1 and I out the door before Cailou’s opening theme song ends (Yes, in the morning we tell time by the PBS children’s programming schedule), girls finish breakfast then off to the park or preschool with Dad and the day marches on in a predictable fashion. Our shared Google calendar has become our best friend. “Did you put it on the calendar? Is it on the list? If not it doesn't exist in this house.” We bring snack for my son’s class and there are two reminders, one the night before to run out and purchase it in case we forgot and one the next morning to be sure to actually put it in the car to bring it to school. Yes it makes us appear to have it together. Don’t get me wrong I don’t want to suggest anarchy and abandoning the calendar/lists altogether, but I bet there is a middle ground we are missing. It is my husband’s birthday. It snuck up on me. We had a small party a few weeks ago and are doing this detox/fast. He is one of those guys that never wants to make a big deal of things especially when it comes to himself—excuses. I know all this about him; we have known each other since we were 16 years old. It is on the calendar. Should I have put a reminder in the night before to do something special for him today? What a sad thought. You see, he stays home with our kids. He ignores the other parent's giggles as he loads SH3 in a backpack carrier and grabs the hand of SH2 to ensure a safe SH1 kindergarten pick-up or Home Depot run. I bet he gets tired of the, “You have your hands full!” comments in Costco. He did not choose this; God chose this for us. His schedule is important and sound, it is survival. On this day of all days I should have brought him a break from it, some boondoggling. This is the best gift I can give him, it is after all free and freeing. I ran out of my cherry mist blossom sensitive skin deodorant a week ago. No time or energy to grab more, I brought out the stocking stuffer deodorant. My pits smell like a baby’s bottom and I only half hate it. Aww Roo, you are so cute and precious and wonderful. I love you so much.